Last week I wrote an American Spectator column titled “The Transient Luck Of John Bel Edwards,” noting that while there are polls showing his approval rating in the 65 percent range, gravity is all but surely going to pull him down – and offering three items which will inevitably serve to provide that gravity. Edwards’ “signature achievement” as governor to date is presiding over a bipartisan package of criminal justice reforms, intended to relieve the fiscal and public-relations problem of having the highest incarceration rate in America, earlier this year. But Edwards’ focus in pushing the reforms was simply to drive a number — specifically 5,500 prisoners released — that would drop Louisiana below Mississippi in incarceration rates. Other states, like Texas and South Carolina, practicing criminal justice reforms focused on building support systems aimed at staving off recidivism before any mass prisoner releases, and that’s not exactly what Louisiana has done. Instead, this fall there were 1,900 prisoners let out of Louisiana jails without an overwhelming amount of vetting done. 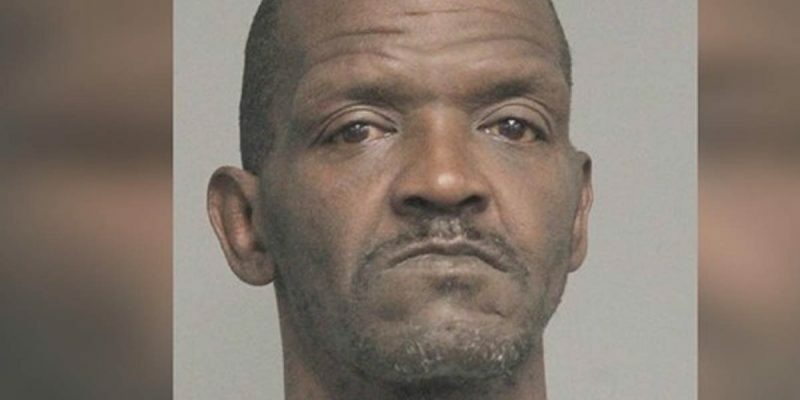 This has led to a few high-profile cases like one in the New Orleans suburb of Kenner, where a career crook named Smokey White had within a week of his release obtained an illegal gun and used it to stick up a construction crew, making off with some $900 in cash. White, 24, had just spent four years in prison for simple burglary — an offense 64 counts of which he’d had on his record. It’s inevitable another of Edwards’ alumni will kill someone, and then he’s going to have a problem. So far none of Edwards’ alumni have killed anybody, but the steady trickle of anecdotes about the recidivism of the career criminals the governor has sprung certainly casts a significant likelihood of that inevitability. A man recently released early from prison due to a new package of state laws is back behind bars after being arrested four more times since November according to police. Alton Brooks Jr. was most recently arrested Friday after Kenner Police said he was shoplifting at a Winn Dixie on Williams Boulevard. The 49-year-old man was released Nov. 1, along with hundreds of other inmates who got another shot at life due to a new set of state laws that overhauled the criminal justice system. Under Act 280, non-violent offenders are eligible for good time release after serving 35 percent of their sentence. Kenner Police said Brooks has a 51-page criminal history in Jefferson Parish alone. Since his Nov. 16 release, Brooks was arrested four times for charges including theft and battery of a police officer. In all four cases, Kenner Police said he was released from the parish correctional center due to overcrowding. Let’s remember that Jefferson Parish was significantly dispositive in Edwards’ victory over David Vitter in 2015. As one of the state’s key bastions of Republican voters, Vitter needed something like the 64-36 margin John Kennedy had over Foster Campbell in the 2016 Senate race, or at least the 55-41 margin Donald Trump had over Hillary Clinton in the presidential race that year. Instead, Edwards actually clipped Vitter 51-49 in the 2015 gubernatorial runoff, which was devastating to Vitter’s chances for victory. So now we not only have Smokey White being let loose in Kenner, we have Alton Brooks. This in less than three months. How soon do you think it will be before the voters in Jefferson begin getting absolutely furious over recidivist criminals being deposited in their midst in the name of “reform?” Jefferson’s citizens have long seen themselves on the front lines of the battle against crime anyway, given the runaway lawlessness next door in Orleans Parish, and Jefferson has put up with a great deal of clownishness and sketchy acting from its sheriff – whether that might be Harry Lee or Newell Normand – because the sheriff’s office is known for a no-nonsense attitude toward the criminal class and is seen as effective in keeping crooks and thugs off the streets. But if the perception takes hold that the sheriff’s office can’t do its job because the governor is just going to dump the criminals back into the neighborhood, and there is nothing anybody can do to stop Jefferson from descending into the same chaos Orleans displays nightly, well…let’s just say Edwards isn’t going to draw 51 percent of the vote in Jefferson Parish when he comes up for re-election.